This was a laborious process for the children's book. So please come out and support me. 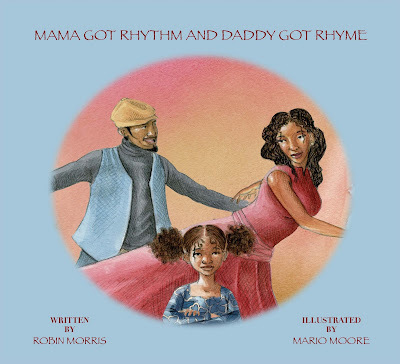 The children's book is about an African American family in Harlem New York. The daughter of the parents ,Mama Rhythm and Daddy Rhyme, likes R&B but does not understand why here parents like jazz and blues. The parents take there daughter on a trip to the Jazz museum at Lincoln Center and the daughter falls in love with the music as she meets Dizzy, Duke and many other Jazz greats. Head over to Mario's blog to get more info on where you can get your own copy! P.S. You owe me some "gwap" for this, Mario. Or at least those girls you keep hiding.